2014 has been a watershed year for many reasons. Across the year on The Red and Black Architect, there have been 33 posts covering a broad range of issues and events and of course buildings. There have been well over 22,000 views this year which shows the level of interest in Architecture and our Built Environment. Perhaps the biggest achievement is that The Red and Black Architect will now be kept in digital archive by The State Library of Victoria as it was identified by the State Library as having national significance. This most unexpected acknowledgement caps of a massive year which was also my first as Co-Director of my Architectural Practice Atelier Red + Black. As the year quickly draws to an end, it is timely to look back at a most extraordinary year. In May the National Architecture Conference was held in Perth. Within the daily updates were photographs and some great key points from the very impressive speakers. This year with the theme ‘Making’ there was a greater focus upon the practice of architecture rather than simply the end product. Also within the Conference was the opportunity to tour some of Perth’s newest contemporary residential Architecture. As it turns out one of these brilliant houses, Bellevue Terrace by Philip Stejskal Architecture went on to win the National Architecture Award for Houses (Alterations and Additions). One of the biggest issues within the Architecture profession in 2014 has been gender equity. Prior to starting work with the Australian Institute of Architects National Gender Equity Committee, I undertook a series of interviews with national leaders of the AIA and the Architecture profession. These interviews were reproduced on the fabulous Parlour Website. Architects work within and for our communities. We will naturally be better placed to understand our communities, and their needs, if we are more closely reflective of the communities we serve. If we can redress the gender imbalance that currently exists in our profession, then I believe we will generally produce better architectural outcomes as a direct result of broader input that more closely reflects the diversity of our community. This issue is clearly one that will require a lot of ongoing work to drive the architectural profession towards a more equitable future. I have no doubt however that substantial progress will continue to be made in this area in 2015 and beyond. Perhaps the most popular topic covered over the year (particularly in Melbourne) has been the highly controversial and politicized East West Link project. 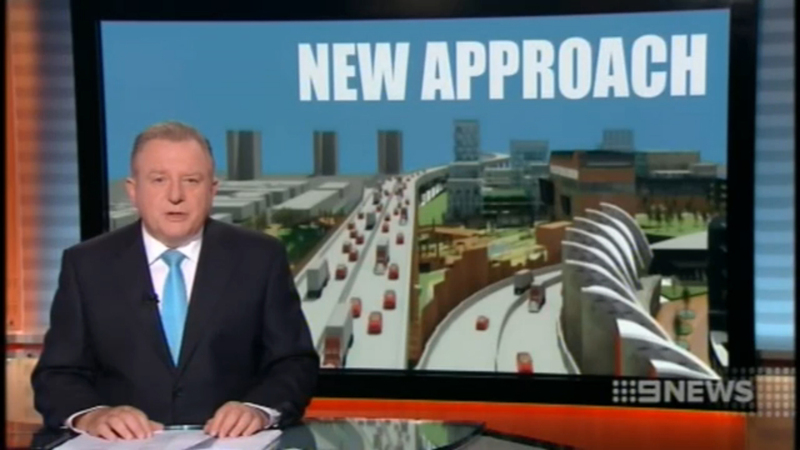 For 18 months this blog has tracked the progress of the proposed East West Link. From the release of the original reference design, through the planning process to the release of the final proposal. From an environmental, social, environmental and design perspective, this project was an unmitigated disaster. During this period, Atelier Red + Black worked with a community group Safety Net to develop alternative designs which showed how the project could have been developed if the Linking Melbourne Authority and the various contractors bidding on the project were given the time and scope to properly assess options. These two designs, A Better East West link Design and Saving Parkville both went on to pick up Gold Melbourne Design Awards. The good news on the East West link fiasco is that due to a concerted effort by the community we have now had a change of government and the project appears to be headed for the scrap heap, at least for now. The business case was revealed to be heavily manipulated and described by many as a fraud on the state with returns to be only 45 cents for every dollar invested. It will be important in the following months for the community to continue to work towards the voiding of the planning permit to prevent future governments picking up the flawed project and restarting it. As an example of one of the steps to be taken in this regard, is the rewriting of the heritage protection of Royal Park. This should be revised to have the East West Link exemptions removed to permanently protect this public treasure. 2014 Has seen some fantastic Architectural exhibitions in Melbourne. Atelier Red + Black Co-Director Sonia Sarangi provided brilliant reviews on several of these including: Make It Big So The Boys Can See It, Learning From Surfers Paradise and The Future Is Here. No wrap up of 2014 would be complete without mentioning the end of The Architects on RRR. Stuart Harrison, Simon Knott, Christine Phillips and Rory Hyde have been talking all things Architecture over their radio show for 10 years. Their last show, an outside live broadcast from Riverland Cafe and Bar on the Banks of the Yarra was a fitting end. Before signing off for the year I would like to acknowledge the many people who have helped me out on this journey. To my brilliant wife Oliva who has been so amazingly supportive and who regularly proof reads posts, Thank you. To my Co-Director Sonia Sarangi who has been a fantastic supporter and contributed with several posts and photographs. Danny Robson who has contributed with photographs. To all of our interviewees including Shelley Penn, Paul Berkemeier, David Karotkin, David Parken, Ross Clark, Rohan Leppert, Steve Rose, Stuart Harrison, Simon Knott and Christine Phillips, A very big thank-you! Thank you also to Urban Melbourne who have republished many Red + Black articles in 2014. Finally a big thank-you to the readers that make it all worthwhile. This entry was posted in 2014 Architecture Conference, all posts, awards, construction industry, East West Link, Flinders Street Station Design Competition, Gender Equity in Architecture, Interviews, News, Review, Uncategorized, Urban Design and tagged 'The Architects' radio show, 2014, Atelier Red + Black, BC Ang, Bellevue Terrace, Better East West Link Design, Christine Phillips, David Karotkin, David Parken, Dr Naomi Stead, East West Link, Learning from Surfers Paradise, Make It Big So The Boys Can See It, Making: 2014, Melbourne Design Awards, Parlour, Paul Berkemeier, Philip Stejskal Architecture, Rate My Building, Rohan Leppert, Ross Clark, Shelley Penn, Simon Knott, Sonia Sarangi, State Theatre Centre By Kerry Hill Architects, Steve Rose, Stuart Harrison, The 2014 National Architecture Conference, The Future Is Here, Timothy Horton. Bookmark the permalink. 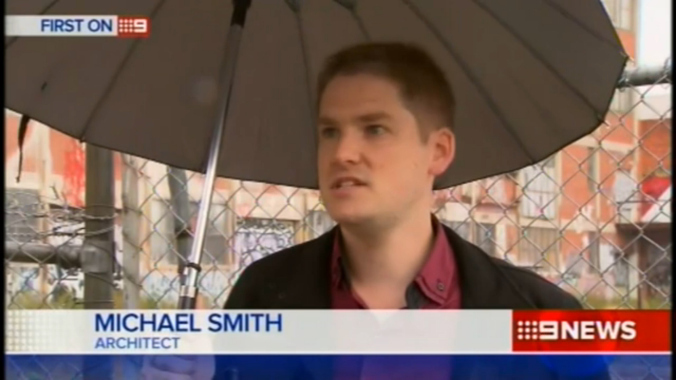 Thanks for providing such an informative insight into Australian architecture and urban design! Your posts are always a good read and I look forward to more to come in 2015! Thanks Jason I really appreciate your feedback. Have a great Christmas.